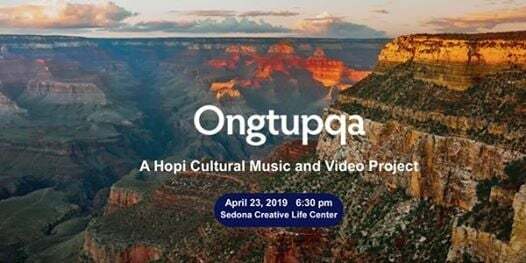 This is a Hopi cultural music and video project celebrating the most ancient sounds to emerge from Ongtupqa (the Hopi name for Grand Canyon which translates to "Salt Canyon"). In addition to a musical concert featuring an ancent Hopi flute and clay drums, originally recorded in the Desert View Watchtower in the Grand Canyon, the program will include the accompanying video of the Grand Canyon. This music was created on-site at the Watchtower with reverence for the space that could never be replicated in a music studio far from the views and spirit of Grand Canyon. 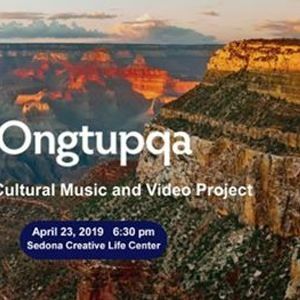 Ongtupqa is the first recording of its kind for this special location – an acoustic soundscape intended to celebrate and honor the surrounding landscape. This concert will recreate that soundscape in a magical evening.